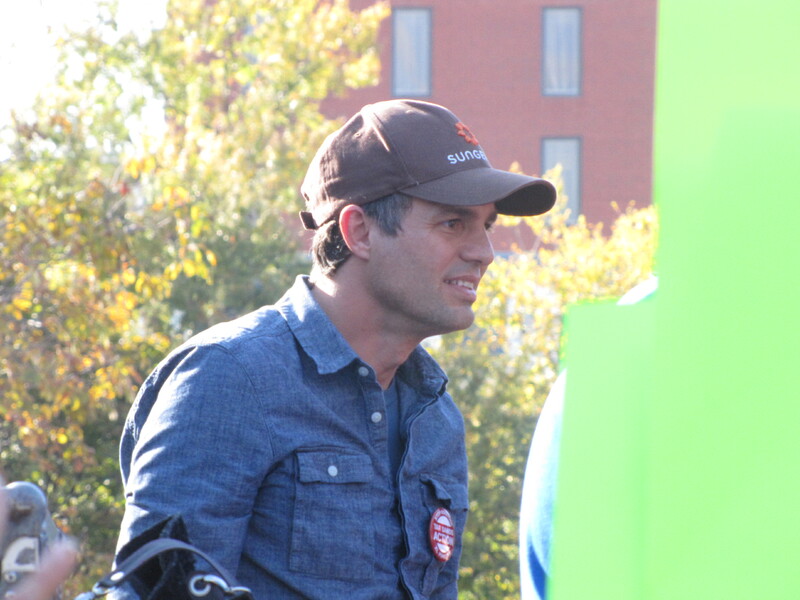 I had a quick chat with actor and activist Mark Ruffalo at the Keystone XL pipeline protest in Washington D.C. on November 6, 2011. We talked about his opposition to Keystone and his organization Water Defense, which is trying to bridge the movements working to stop mountain top removal, hydro fracking, tar sands mining, and other destructive practices that threaten our dwindling global supply of clean water. Among other causes, Ruffalo has been a dedicated and passionate campaigner against the practice of hydraulic fracturing (fracking) for shale gas extraction in the U.S. He is also an acclaimed actor, having appeared in movies such as The Kids are Alright, Eternal Sunshine of the Spotless Mind and Shutter Island. Click on the audio player above or right click here to download the interview (4:05).